How did you become an expert at marketing strategy and graphic design? I come from a family of serial entrepreneurs with my first business at age ten with my younger brothers. Even then I was trying to design a logo for “Three Kids Vending.” Small business has been in my blood since birth it seems. I’ve done strategy and graphic design freelancing for 14 years while also working as a full-time in-house marketing manager for several small businesses and one large non-profit. What I learned fast was that, while I had trained to be a graphic designer, a small business didn’t know what to do with me. So I went back to the drawing board and developed winning, tried-in-the-field tactics for building customer bases and improving prospect draw. I helped my first business go from a 8-person, 7-state service to a 25-person, international partnering service with its own product line to boot. One day I realized that in every party I went to, friends and family would sit any entrepreneurs they could find next to me so I would coach them on marketing tactics. It didn’t take a genius to realize I was now the official expert. If you’re beating your head against a brick wall with your marketing. If you’re overworked, stressed out, know you need help to build up your sales but don’t have the time or energy. If you want a more professional brand. If you want more focus and clarity with your marketing without feeling like you’ve chained yourself down with impossible goals. Customer service, hands down. I believe in serious marketing coaching that isn’t going to leave you high and dry with ideas you can’t possibly implement with your budget and time constraints. If you’re needing a website or other graphic design project, I’m not just going to make something that’s pretty. It will be responsive, and designed to actually drive in new prospects. More importantly the hands-on training and long-term support mean you’ll never feel lost with your tools. Coming from a family of small business owners I know you, your family and the family of all your employees could be hurt if I give you bad advice or slow service. I just can’t do that. I see my clients like extended, close family and treat you right. Someone who is driven, knows something needs to change and is ready to ramp up her business to the next level. What kind of client do you NOT work well with? Tire kickers who kinda sorta want something to change but aren’t ready or willing to dedicate the time needed to make it happen. How do you work? What can I expect? We start with a free Marketing Clarity Call to go over your goals, discover your blocks and determine the best solution for you. In a Strategy Coaching package you can expect regular, monthly strategy calls with a pre-call and post-call action sheet to help give you focus and get the most out of each call. With a full Marketing package you’ll have a number of branding and design projects to use over the course of 6-12 months along with our strategy calls. These are our most popular package because they pair strategy with tool-creation. Every package is a little different and you can be sure that we’ll go over all the details during our marketing clarity call. Can I just sign up for one session or one design project with you? In my experience one-shot sessions might solve a small problem you’re having but without regular coaching, you’ll see no benefits after a few weeks. 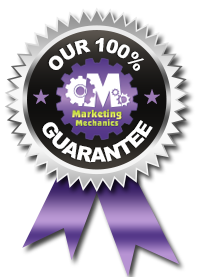 Our packages however are designed to give you results for years with implementation. Every once in a while I offer a special program like my Rapid Revamp, however in general I find this doesn’t serve you long-term. My strategies and tools work best as a group, over the course of several months. This gives you the most impact in building your prospect list and brand trust. Yes! If you do. I’ve seen businesses grow from 7 to 25 employees. I’ve helped another grow 300% in profits in 3 years. I’ve regularly saved clients hundreds to thousands of dollars by redirecting their marketing investments into more effective tactics. I’ve seen nearly instant sales, prospects and increases in web traffic with new client websites. But it all requires you to be ready to invest the time into creating the focus you need, into making those sales calls, sending out those mailers, using your tools, and implementing coaching advice. When you do, you will see results! Super Power: Drawing out people’s genius and sharing it with the world. Schedule your FREE business-changing 45-minute Marketing Clarity Call today. Let me ask you something, honestly and not from a place of any judgment: Have you been doing your own marketing and design so far? How’s that going for you, really? You are a genius at what you do. Chances are that marketing and branding is not your genius work, which is likely why you’ve avoided improving it. With outside help you’ll see results you’ve found elusive until now, all while reducing the stress of marketing and improving clarity on your core strengths. I’m really busy and overwhelmed. How much time is involved before I get results? If you live in reaction all the time, that’s no life at all. You’re losing time reacting instead of being proactive. A few hours a week, with downtime to think and be strategic, actually saves you a ton of time, not to mention the mental and creative energy which you’re currently losing in fire-fighting mode. How can I get the very best results fast? Many of our packages start with a Jump Start session where we’ll look for your low-hanging fruit to help get you results quickly, but the fastest way to get real results is to show up to our calls and be fully present. No calls, interruptions, having to leave to pick up your grandmother, etc. Complete the pre-call and post-call sheets in a timely manner and you’ll find the strategies and tools click fast. Will I see a return on my investment? In the fourteen years I’ve been working in the small business marketing field I’ve always seen my strategies yield success for my customers – if they are actually used. I have had one or two unfortunate clients who seemed to think by hiring me I was their magic “escape from the pain” button. Man, I really wish I were, I think I could take over the planet then! Let’s say though that you don’t see results after you put my strategies and tools to work. That’s why I offer my 100% Guarantee. If you don’t like it I will do everything I can to fix it. If you’re still unhappy after implementing and not seeing results I’ll give you a 100% refund. Period. End of Story. Guaranteed. Can I contact other clients you’ve worked with? Absolutely! I have a page brimming with testimonials including quite a few video testimonials. If you’d like to speak with someone over the phone or email, I’m happy to give you a reference during our Marketing Clarity Call. Investments are always scary and I totally get where you’re coming from. Every big investment I’ve made has gotten my heart pumping and even had me wondering if I made the right decision afterwards. Here is what I’ve found though: if you don’t invest in yourself and your business how can you ever expect progress? You can garden with your bare hands, some free seeds and intermittent rain water but you’ll never get the same results of some quality fertilizer, seeds and regular watering. Likewise having the proper tools doesn’t just make things easier, it makes them faster. It’s true in gardening and it’s true in your business marketing. I’m not sure if now is the time, can I have a marketing clarity call and then have time to think on it? Experience has taught me that when you’re scared, the easiest way to avoid that fear is to delay a decision. I’ve done it, we’ve all done it. What I’ve found is that “Maybe” kills our energy and drive. Being nervous and excited is totally normal, but if you feel we’re not a good fit after our call then I want to empower you to say: “No, thank you.” Believe me when I tell you I’ll be cheering for you! Remember that Yes or No are great, but a Maybe will kill you in the long run. I have partners, significant others, or other decision makers that I need to run approval by. After a call, can you give me time to discuss it with them? I’ll say it again: a maybe is a detriment to you. If you need approval with another decision maker, I encourage them to join our marketing clarity call. Not only will this save you time and energy of having to rehash our talk, but your partner can get answers to their own questions. Remember, I would rather you tell me “No, thank you.” than ever put things off and have an un-made decision weighing down your shoulders. If I’m not quite ready to get started, is there a way to sample your work? My free training “Marketing Chill Pill: 3 Steps to Stress-Free Prospects” is a great start to simplifying and focusing your marketing strategy. I’ve had many people tell me just this training has had dramatic and immediate results with their small business. You can also check out my monthly workshops, and read my blog filled with nearly 600 articles on improving your marketing and branding. I’d love to talk with you and answer any question you have. I offer a free 45-minute Marketing Clarity Call where you’ll both get clear on what you goals, how I can help and answers to your questions.